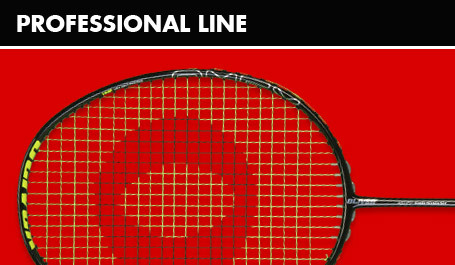 The Professional Line was created to meet the requirements and high expectations of world class players. In all frames we only use the best materials and the newest racket technologies. 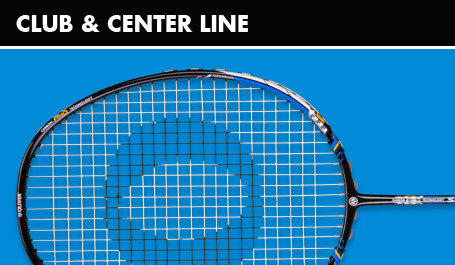 The Club and Center Line is representing the most established rackets in the international market. Everyone will find their fitting model, not only the ambitious club player but also the center- or hobby player. 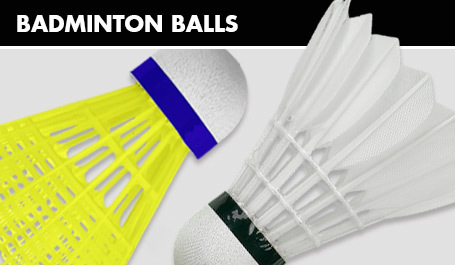 The most recommended Badminton school rackets were chosen by some of the most renowned coaches. 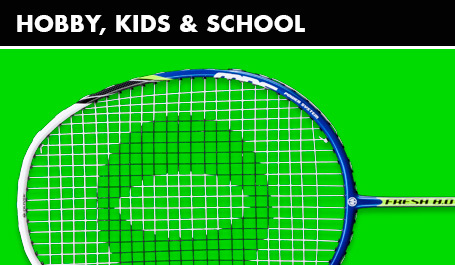 In addition we also offer rackets for children in all ages in different sizes. The leisure packages are characterized by a robust construction and are ideal for all outdoor activities. Some of our leisure set include a net. We offer quality shuttlecocks and nylon shuttles with the best priceperformance ratio. Available in all speed levels at an affordable price. 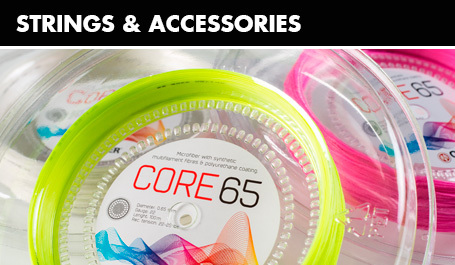 We offer dependable high-quality strings and accessories for the badminton performance. 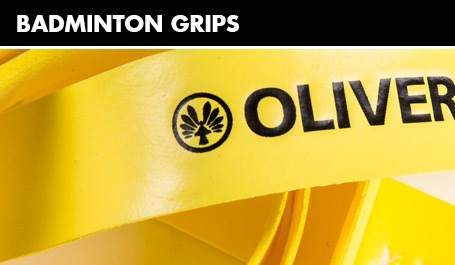 Grips with moisture absorbing characteristics, smooth fitting and good adhesion. Fast motions= Fast impact power Team player, Professionals with perfected techniques and racy racket speed. Tournament player and professionals will boot their winning chances. Middle speed motions= middle impact power Advanced player with imperfect technique in motions and impact power. With a smart racket choice an advanced player can improve his skills enormously. Slow speed motion= Slow impact power. Beginners and hobby players with a lack in motion, impact power and racket speed. For Beginners the right racket choice can be essential. The concaved modelled frame stretches the active side length of the racket and enlarges the sweetspot up to 8%. The concaved modelled frame increases the stability and guarantees extraordinary impact comfort and impact control. The cube modelled frame increases the torsional stiffness and the ball control. The aero modelled frame effects an extraordinary aerodynamic and an extreme fast game. The shaft flexibility is decisive for the expedition of the racket head and mostly depends on the technique of the player. Generally there are three kinds of shaft flexibility: stiff, middle and flex. In Addition there are intermediate form like midstiff or midflex. The advanced players can choose in between stiff and flex. The less experienced players should use a flex shaft. The harder the string, the smaller the area (sweet spot) with which the ball can be hit efficiently. The closer the meeting point, the more effective the ball can be controlled and the harder it can be hit. Tournament players choose a higher stringing strength of 9 and more Kg. They hit the ball more frequently in the sweet spot and can thus use the higher stringing hardness. Beginners should choose a lower tension hardness of up to 8.5 Kg to use the trampoline effect for higher impact hardness and an improved range of impact. The lower stress hardness is also gentler and more forgiving. Most Badminton strings are up to max. 12.7 Kg. A higher string tension is not recommended because the frame can be damaged and the durability of the string is significantly reduced. The hardness of the string should be adapted to the respective frame and the individual playing level. The prerequisite for reliable data is a properly calibrated stringing machine.